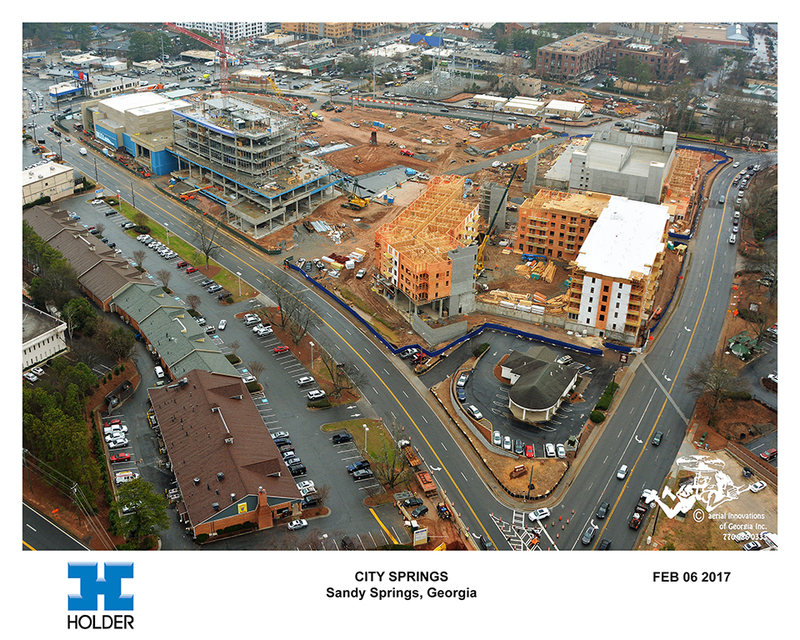 Photograph Courtesy of the City of Sandy Springs. 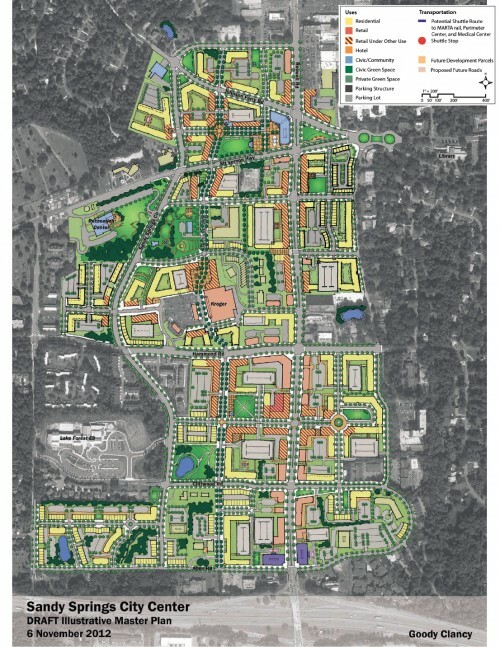 In 2012, the Sandy Springs City Council approved a multi-phase plan to transform the sprawling and quintessentially suburban landscape of Roswell Road into a “city center” exhibiting the newly acquired municipal identity and fostering “community pride.” 4 Drawing on ethnographic research, this article analyzes perceptions, representations, and debates surrounding the City Center Master Plan. I examine two divergent interpretations of the plan that circulate in Sandy Springs’ media, everyday conversations, and institutional discourse, investigating their connections with the “color-blind” language employed during the struggle for municipal incorporation. I argue that the place-making and civic-branding project of downtown redevelopment may function as a growth-seeking strategy that marginalizes low-income residents of color by inscribing an exclusive, sanitized, and commodified definition of “community” and “diversity” onto the landscape. Between 2005 and 2012, Mayor Galambos and her collaborators took the first steps towards the construction of a new downtown. First, they began to add sidewalks, streetlights, and pedestrian crossings along Sandy Springs’ major thoroughfares. Then, they acquired a fifteen-acre vacant commercial property situated in close proximity to Roswell Road and to the local heritage site, 5 envisioning it as “the ideal platform for a new city center.” 6 In December 2012, at the end of a series of public meetings, municipal leaders finally approved the Master Plan, subsequently outsourcing the implementation of its first phase – scheduled to be completed by December 2017 – to two real estate developer firms. Plan Courtesy of Goody Clancy. Interestingly, this portrayal of the future downtown as an inclusive place of community building is often framed in a language of “diversity,” with particular reference to the demographic shifts that the city has recently undergone. In line with regional and metropolitan migration trends that have brought new diversity to area suburbs, over the past two decades Sandy Springs has seen a gradual increase in African American, Latino, and other immigrant residents, together now constituting about 41 percent of the total population. 12 This section of the population is predominantly low-income, employed in low-wage construction and service sector jobs, and concentrated in the apartment complexes along Roswell Road. 13 As these populations became increasingly visible in the areas targeted for redevelopment, discourses emphasizing “diversity” also began to take on ambiguous and increasingly contested meanings. You are looking at people sitting there, and it’s white, it’s black, it’s Latino, it’s the entire rainbow of American color … on that hillside, sitting there together being community. To achieve this last goal, the municipality has to build “a mix of middle income and empty-nesters housing” targeted to baby-boomers looking to downsize as well as “millennials” working in the nearby Perimeter district. Rendering by Rosser International. Courtesy of the City of Sandy Springs. The low-income housing is disappearing. Dramatically … The city would be very wise to do mixed-income housing, there are a lot of us who are pushing in that direction. I think what the politically conservative people that want the low-income people out of here don’t realize is that, if you don’t have housing for all of the different income levels, you don’t have buy-in from them, and therefore you don’t have the dedication to be part of the city. The truth is this is about pricing out the poor and non-whites. It’s also about making money for the developers. Sandy Springs incorporated for two reasons and those were money and legally removing the poor so that the delicate eyes of the well-off don’t have to see them. 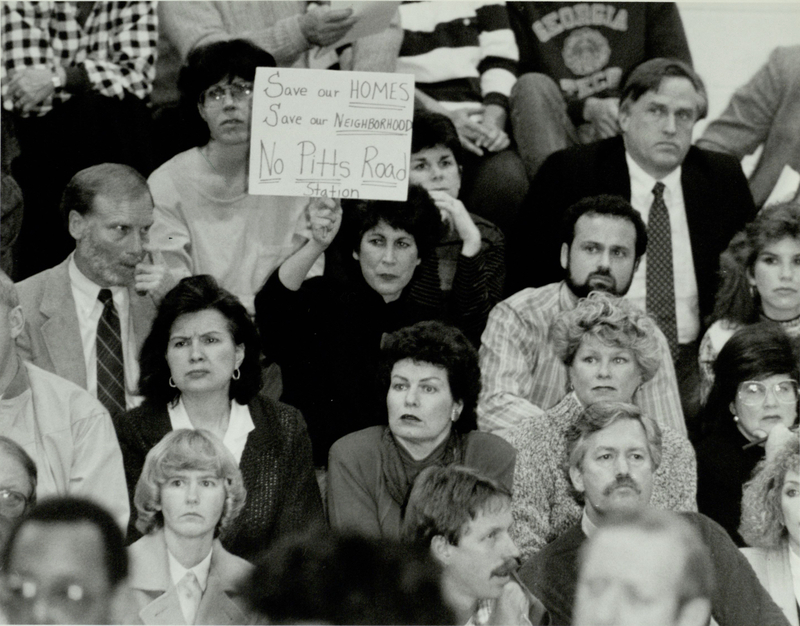 Protestors at a meeting for a proposed MARTA rail line, December 1, 1988. Photo by Walter Stricklin. AJCP229-014v, Atlanta Journal-Constitution Photographic Archives. Special Collections and Archives, Georgia State University Library. Copyright Atlanta Journal-Constitution. Courtesy Georgia State University. The contradictions that lie at the heart of the project of downtown redevelopment push us to interrogate Sandy Springs’ deeper history of racial and social exclusion through place- and city-making. 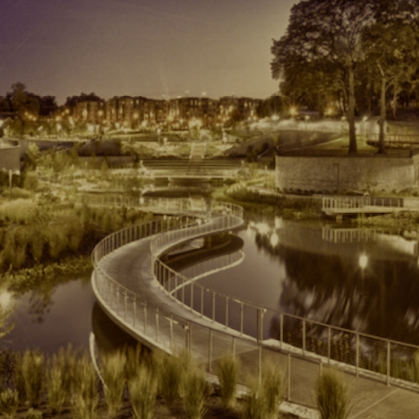 Official discourses portray the future city center as “everybody’s neighborhood” – an economically, racially, ethnically, and generationally “diverse” environment that will foster meaningful interaction across different population groups. Some residents, however, have been questioning the plan’s real goals and the “code words” 33 used to promote it, stressing the social costs that the low-income population will have to bear. If implemented according to these premises, the City Springs project may ultimately result in the consolidation of an exclusive, sanitized, and commodified definition of “community” and “diversity” appealing to potential investors, middle class residents, and consumers. The “color-blind” discursive strategies that Sandy Springs activists and residents previously used to advocate for municipal autonomy, in turn, may become crucial to portraying the spatial marginalization of poor minorities as the “natural” and “racially innocent” 34 consequence of free market self-government. Elisa Lanari is a PhD candidate in cultural anthropology at Northwestern University. For over five years, she has been conducting ethnographic and archival research in suburban Atlanta, focusing on issues of social and spatial justice, neighborhood change, city-making, and suburban governance. 3. ↵ For more information on the private-public partnership model, see: Oliver Porter, Creating the City of Sandy Springs. The 21st Century Paradigm: Private Industry. (Bloomington, IN: Authorhouse, 2006); and Oliver Porter, “Private-public Partnerships for Local Governments: The Sandy Springs Model.” Reason Foundation, January 29, 2010, http://reason.org/news/show/public-private-partnerships-fo-1. 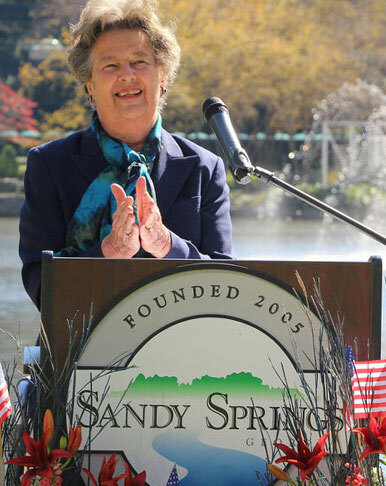 The city’s initial partnership with the Colorado-based global consulting firm Ch2M Hill was terminated in 2011, when Sandy Springs decided to split the contract for the provision of municipal services among many competitive bidders: see: Adrianne Murchison, “Sandy Springs Awards New Contracts; Leaves Out CH2M Hill,” Sandy Springs Patch, May 19, 2011, http://patch.com/georgia/sandysprings/city-awards-new-contracts-leaves-out-ch2m-hill. 4. ↵ Rusty Paul, interview with author, September 2014. The material presented in this article has been collected during fifteen cumulative months of ethnographic fieldwork conducted between 2010 and 2016. Methodologies included participant observation, informal and semi-structured interviews, archival research, and analysis of media and institutional documents. 5. 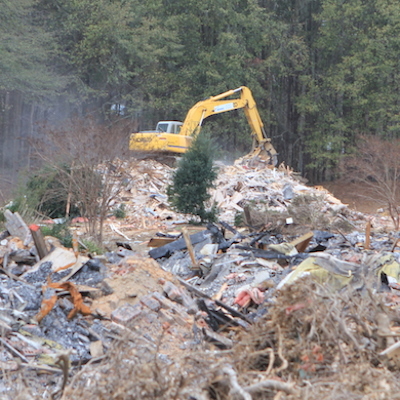 ↵ For the acquisition and future redevelopment of this property, see: Dan Whisenhunt, “Buh-bye: Sandy Springs Target Demolition Planned,” Reporter Newspapers, December 11, 2013, http://www.reporternewspapers.net/2013/12/11/buh-bye-sandy-springs-target-demolition-planned/. 6. ↵ The quote is taken from the official website of the project: http://www.sandyspringsga.gov/. 8. ↵ Goody Clancy, “Sandy Springs: City Center Master Plan” (2012), v, http://sandyspringscitycenter.com/wp-content/uploads/2012/12/2012-12-18_Sandy_Springs_City_Center_Master_Plan-Adopted.pdf. 9. ↵ The quote is taken from the website of the real estate development company Carter USA, see: “City Springs: Sandy Springs, GA,” Carter USA, http://www.carterusa.com/projects/city-springs, accessed November, 29, 2016. 10. ↵ Goody Clancy, “Sandy Springs,” v.
11. ↵ Rusty Paul, interview with author, September 2014. 12. ↵ Out of a total population of 94,000 people, today 20 percent of Sandy Springs’ residents identify as African American, 14.2 percent as Latino, 5 percent as Asian, and 2.7 percent with two or more races (US Census 2010). For the trends of suburbanization of poverty and migration in Atlanta, see: Audrey Singer, The Rise of New Immigrant Gateways. (Washington, DC: Brooking Institutions, 2004), http://www.brookings.edu/research/reports/2004/02/demographics-singer; Mary Odem, “Unsettled in the Suburbs: Latino Immigration and Ethnic Diversity in Metro Atlanta,” in Twenty-First Century Gateways: Immigrant Incorporation in Suburban America, Audrey Singer, Susan Hardwick, and Caroline Brettel, eds. Pp: 105–36 (Washington, DC: Brookings Institution Press, 2008); and Alan Berube, “A View from Atlanta, Epicenter of Suburban Poverty in America,” Confronting Suburban Poverty in America, October 8, 2013, http://confrontingsuburbanpoverty.org/2013/10/a-view-from-atlanta-epicenter-of-suburban-poverty-in-america/. 14. ↵ Rusty Paul, interview with author, September 2014. 15. ↵ Goody Clancy, “Sandy Springs,” 21. 16. ↵ Dan Whisenhunt, “We swear: Sandy Springs Begins New Era,” Reporter Newspapers, January 8, 2014, http://www.reporternewspapers.net/2014/01/08/swear-sandy-springs-begins-new-era/; John Ruch, “Sandy Springs Weighs Housing Police, Firefighters in City-Bought Homes,” Reporter Newspapers, August 2, 2016, http://www.reporternewspapers.net/2016/08/02/sandy-springs-weighs-housing-police-firefighters-city-bought-homes/; Tasnim Shamma, “Sandy Springs Housing Too Expensive For Mercedes-Benz Workers,” WABE, April 13, 2015, http://news.wabe.org/post/sandy-springs-housing-too-expensive-mercedes-benz-workers. 17. ↵ Rusty Paul, interview with author, September 2014. 18. ↵ Notes from Sandy Springs City Council Meeting, September 16, 2014. 19. ↵ Rick Badie, comp. “Sandy Springs Gateway Project,” Atlanta Forward, July 31, 2013 https://web.archive.org/web/20130828170745/http://blogs.ajc.com/atlanta-forward/2013/07/31/sandy-springs-gateway-project/. 20. ↵ For a comprehensive overview of the zoning changes and redevelopment priorities recently approved and/or currently being discussed, see the new comprehensive land use plan draft and related documents, The Next 10, http://thenext10.org/comprehensive-plan/, accessed January 29, 2017. 21. ↵ City of Sandy Springs, “Sandy Springs Comprehensive Plan: Responses to Comments on Comprehensive Plan,” The Next Ten, https://drive.google.com/file/d/0BxHm-objQ-FKdzYxb2ZfbHNUbjg/view, accessed January 29, 2017. 22. ↵ City of Sandy Springs, “Materials from the January 27, 2016 Community Workshop,” The Next Ten, http://thenext10.org/meeting-materials/, accessed January 29, 2017. 23. ↵ The author used pseudonyms to protect participants’ identities. 24. ↵ Interviews, March-April 2016. The “ten year” plan is most likely a reference to the Next Ten campaign to draft a new comprehensive land use plan discussed above. 26. ↵ Eva Galambos, interview with author, January 2010. 27. ↵ For a more detailed analysis of the transformation of the Committee’s rhetoric throughout the years, see Kevin Kruse, White Flight. Atlanta and the Making of Modern Conservatism (Princeton, NJ: Princeton University Press, 2005), 258; Matthew Lassiter, The Silent Majority. Suburban Politics in the Sunbelt South. (Princeton, NJ: Princeton University Press, 2006), 112; Connor, “Metropolitan Secession.” For a more general take on “colorblind” racial ideologies and discourses, see for example: Eduardo Bonilla-Silva, Racism without Racists: Color-Blind Racism and the Persistence of Racial Inequality in America, Third Edition. (Lanham, MD: Rowman & Littlefield, 2009). 28. ↵ Rusty Paul, interview with author, September 2014. 29. ↵ Connor, “Metropolitan Secession,” 448–49. 30. ↵ David Segal, “Georgia Town Takes the People’s Business Private,” New York Times, June 23, 2012, http://www.nytimes.com/2012/06/24/business/a-georgia-town-takes-the-peoples-business-private.html; Rusty Paul, “2014 State of the City,” The Springs-Times, Sandy Springs Newsletter, Spring 2014, 1–2. 31. ↵ Adrianne Murchison, “Roswell Road Neighbors Hope to Control Density of Looming Mixed-Use Development,” Sandy Springs Patch, July 16, 2013. http://patch.com/georgia/sandysprings/roswell-road-neighbors-hope-to-control-density-of-loo10a15fbe6f. 32. ↵ Deirdre Pfeiffer, “Displacement Through Discourse: Implementing and Contesting Public Housing Redevelopment” in Urban Anthropology and Studies of Cultural Systems and World Economic Development 35, no. 1 (2006): 72. See also Gabriella Gahlia Modan, Turf Wars: Discourse, Diversity, and the Politics of Place. (Malden, MA: Blackwell, 2008); Katherine Hankins with Robert Cochran and Kate Driscoll Derickson, “Making Space, Making Race: Reconstituting White Privilege in Buckhead, Atlanta,” Social & Cultural Geography 13, no. 4 (2012): 379–97. 33. ↵ Robert Greene, interview with author, September 2013.